"Boosting their excitatory nerve cells largely abolished their social behavior," said Deisseroth, [associate professor of psychiatry and behavioral sciences and of bioengineering and the study's senior author]. In addition, these mice's brains showed the same gamma-oscillation pattern that is observed among many autistic and schizophrenic patients. "When you raise the firing likelihood of excitatory cells in the medial prefrontal cortex, you see an increased gamma oscillation right away, just as one would predict it would if this change in the excitatory/inhibitory balance were in fact relevant." The new study shows that "regardless of the total amount of sleep, a minimal unit of uninterrupted sleep is crucial for memory consolidation," the authors write in the study published online July 25 in the Proceedings of the National Academy of Sciences. They genetically engineered a group of neurons involved in switching between sleep and wake to be sensitive to light. Stimulating these cells with 10-second bursts of light fragmented the animals' sleep without affecting total sleep time or quality and composition of sleep. After manipulating the mice's sleep, the researchers had the animals undergo a task during which they were placed in a box with two objects: one to which they had previously been exposed, and another that was new to them. Rodents' natural tendency is to explore novel objects, so if they spent more time with the new object, it would indicate that they remembered the other, now familiar object. In this case, the researchers found that the mice with fragmented sleep didn't explore the novel object longer than the familiar one — as the control mice did — showing that their memory was affected. 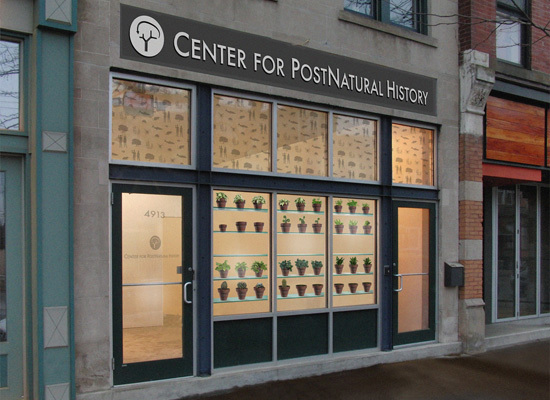 We've always liked the work produced by the Center for PostNatural History, so it's great to hear that they've recently opened a central location in Pittsburgh, Pennsylvania, to house their collections, a ragtag bunch that usually travels around from galleries to museums to more atypical exhibition spaces. It's not Plum Island though. Powerful design tools and techniques such as 3-D printing enable manufacturers to be more nimble, says Autodesk's manufacturing boss. 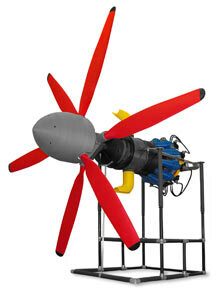 3-D printing: A 3-D printer squirted out each of the 200 plastic parts in this 10-foot-long turbo-prop engine, demonstrating a technology that could soon be used for more than just prototyping. Autodesk, a multinational software company based in San Rafael, California, makes 3-D design software used by everyone from automotive manufacturing giants to Hollywood studios. Now it is betting that those digital tools will have an increasingly powerful role in what happens on factory floors, enabling manufacturers to embrace more flexible strategies that deliver more customized products. Buzz Kross, who heads the company's manufacturing industry group, says the manufacturers he works with see an opportunity in new technology at a time when they sense that the boom in outsourcing to China has run its course. "There have always been companies that differentiate based on their ability to manufacture most efficiently, and others based on design and invention—it's the difference between GM and Tesla," says Kross. "Now a lot of manufacturers are leaning more to the design model." Kross says that rising costs in China's maturing economy and high-profile problems with out-sourced components, like those that plagued Boeing's 787, are making the model of high-volume, low-cost outsourced production less economically attractive. The result is that a wider range of companies are considering adopting a more flexible, premium approach to manufacturing that has previously been limited to a relatively small niche. Kross is trying to help that trend along with software such as Inventor, which provides a way to digitally prototype and test mechanical designs, and Streamline, which enables engineers, designers, and managers to collaborate on a design. Both are intended to speed the journey from digital drawing board to factory floor. "You don't need to center everything on making millions of the same thing at the absolute cheapest price anymore," says Kross. He cites the growing popularity of a model known as ETO (engineer to order), in which businesses buying from manufacturers order by referring to a list of general rules, not a catalogue and price list. For each order, a manufacturer makes and assembles a product very specific to the customer's needs. That approach also cuts costs, because raw materials and parts don't have to be held in stock; rather, they can be purchased to match the latest order. And the customized products can command a higher price than a conventionally made one, Kross says: "These companies capture a larger share of the customer's wallet this way." That style of manufacturing makes the design process—and design software—much more central. Kross says that 3-D printing technology will blur the line between design and manufacturing still further. "Everybody's already embracing it for prototyping," says Kross. "You can already print moving components and subassemblies that don't need any assembly. That's incredibly useful, whether you make pumps or power trains or chairs." Nike, an Autodesk customer, prototypes shoes by using a printer to squirt out materials that have more or less compressibility, depending on how bouncy and flexible each part of the sole is meant to be. The next step is for 3-D printing to become a manufacturing method rather than solely a prototyping tool, says Kross. Small companies are already trying this, but it won't be long before large manufacturers follow suit. "Think about when you buy a Dell computer and they let you choose all the different components," Kroll says. "3-D printing for manufacturing will allow you to have that, but with nearly infinite options." This process may cost manufacturers more than production at a more conventional or offshore factory. But as with the ETO approach, more customized products fetch higher prices, says Kroll. Jewelry, furniture, and consumer electronics are all areas that could benefit from the new techniques, he says. "People don't like it when they have the same thing as everything else and will pay more to get exactly what they choose." We are just ending the beta version of a project where we used Inventor to pre-assemble, then laser cut and fold all the parts of the object. Like many of us now. Well, then this is still not an easy process... and our object remain relatively small. But when the softwares and machines will become efficient enough from sketching to building (possibly Revit with its BIM model --to which should be added some strong scripting and design options--), through prototyping, these will truely become powerful design tools opening up to a new design paradigm. And its interesting to underline the fact that this way of producing could also be taken into account for a sustainable design approach. 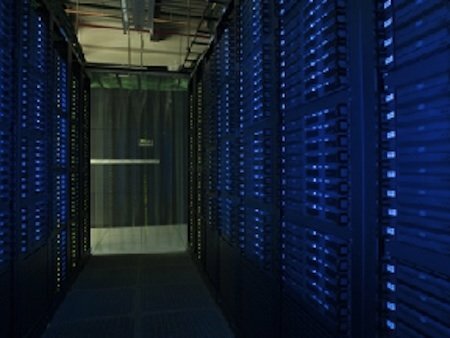 Could Cloud Computing Servers Double as Home Heaters? In the midst of this heat wave, it's hard to even remember what winter feels like. But for those inclined to plan ahead (way ahead) for freezing temperatures, Microsoft Research has a pitch for homeowners: Install a computer server where a heater would normally go. It’s just an idea, but it’s based around the insight that, as the authors of the Microsoft Research paper write, “Physically, a computer server is a metal box that converts electricity into heat.” Servers’ exhaust air comes out at a scorching 104 to 122 degrees Fahrenheit. But that air is not hot enough to convert back into electricity. (The most common type of geothermal plant, for comparison, channels steam that’s more than 360 degrees.) Servers’ exhaust air is, however, “perfect for heating purposes,” the researchers argue. Channeling that excess heat could turn a regular old server into a “data furnace” that keeps homeowners warm in the winter, dries their clothes and heats their shower water. As a widespread practice, replacing a run-of-the-mill furnace with a data furnace could save a lot of energy. Data centers use loads of electricity, and they’re only going to use more as more people stream and download more movies and music. But at least in the United States heating uses even more energy (6 percent of the national total, according to the Department of Energy) than servers do (3 percent). If servers doubled as heaters, we’d be getting the same services for half the energy cost. Individual homeowners wouldn’t necessarily benefit from the switch. The Microsoft paper argues, in fact, that they wouldn’t even notice the difference. The companies running data centers, on the other hand, would benefit. According to the researchers’ back-of-the-envelope operations, the overhead cost per unit of running a host of data furnaces is about a fourth of the cost of running a conventional server farm. A big chunk of the savings comes from the convenience of housing the servers in buildings that people are already using: There’s no need for data centers to buy land and put up buildings with the sole purpose of sticking servers in them. They also save on cooling costs, because the heat they’d normally consider waste is going to good use. The catch here is that few homeowners need heating year-round. The researchers assumed that heating would be useful whenever outside temperatures dropped below about 70 degrees. On warmer days, the heat would simply vent outside. On hot days, when temperatures top 95 degrees, the servers would have to shut down, since they wouldn’t have a cooling system built in. In places like San Francisco, the researchers calculated, the servers would be useful 96 percent of time and would virtually never have to shut down. In places like Dallas, on the other hand, they’d be useful only about half of the time. But the Microsoft researchers allow that using servers as home heaters might be a stretch. Much more likely, they note, would be that larger buildings, like business complexes or apartment towers, would adopt the idea first. For a mob to be smart it needs to be able to network. 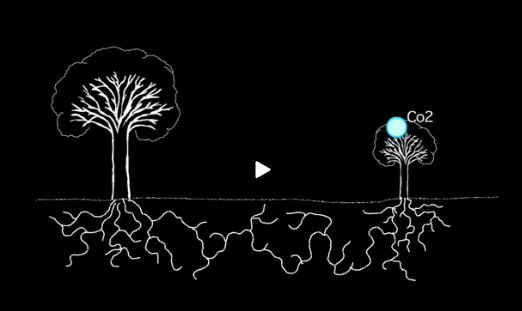 The fascinating work of Dr. Suzanne Simard says that trees do just that: use networks to communicate. 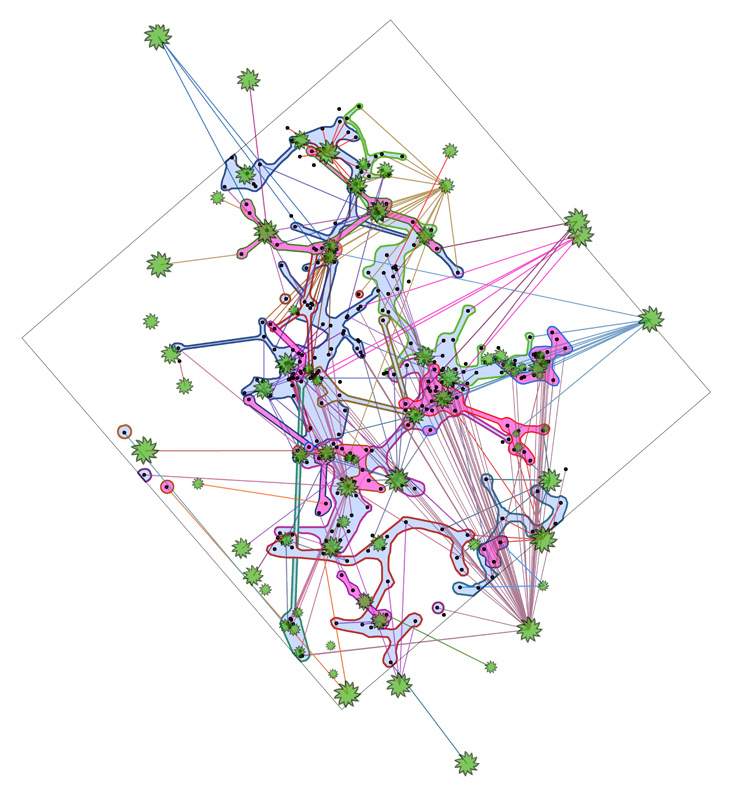 Brian Lamb introduces what is being learned from mycorrhizal networks in a post on his blog Abject.